This is WEEKEND EDITION from NPR News. I’m Linda Wertheimer. Coming up, how do poets compete? One verse at a time? But first, this week, Attorney General John Ashcroft said there is a very real potential that al-Qaeda could unleash more terrorist attacks on the United States, this after the Department of Homeland Security warned of possible suicide hijackings in the months ahead. The warnings and the bombings this week in Indonesia and at the Jordanian Embassy in Iraq leave no doubt that the threat of terrorism against American interests and American allies is very much alive. 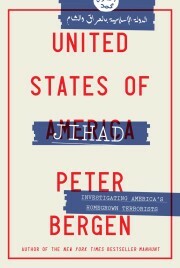 Peter Bergen is a fellow at the New American Foundation and the author of “Holy War, Inc.: Inside the Secret World of Osama bin Laden.” He joins us here in the studio. DARYN KAGAN, CNN ANCHOR: Now let’s get some more insight into those new threats against the U.S. on an audiotape said to be the voice of Ayman al-Zawahiri. He is regarded as the No. 2 man to Osama bin Laden. Our terrorism analyst Peter Bergen joining us now from Washington. Peter, good morning. PERTER BERGEN, CNN TERRORISM ANALYST: Good morning, Daryn. This is TALK OF THE NATION. I’m Neal Conan in Washington. Tomorrow at this time we’ll get an update on the Korean Demilitarized Zone from National Geographic’s Tom O’Neill, who’s just back from a rare visit into North Korea. But we turn now to Afghanistan, the second stop in our weeklong look at hot spots around the world. Earlier this week, the Bush administration pledged a billion dollars in aid to Afghanistan. During his press conference this morning, the president reiterated his support for that country, saying, ‘We will complete our mission in Afghanistan.’ By most reports, there is a lot to do. Mr. PETER BERGEN (Author, “Holy War, Inc.”): Well, the interesting this is you’ve got the intelligence ministry saying this, the Iranian intelligence ministry. The people that we know, that US officials have told me that are being held, one of them is called Saif al-Adil. He’s an Egyptian, number three in al-Qaeda, probably the military commander now. He’s been held for some time. Sulaiman Abu Ghaith, who is a spokesman of the group, a Kuwaiti. He appeared seemingly out of nowhere post-9/11. And two others, one called Mohamed al-Masri, which just means Mohamed the Egyptian, who is supposedly a trainer, and another guy who’s an aide to Ayman al-Zawahiri, the number two. Now these are the people we know. There have been suggestions that Saad bin Laden, who’s bin Laden’s 23-year-old son, may be in custody in Iran. Also of Ayman al-Zawahiri, bin Laden’s number two. It seems to me that both those reports are essentially erroneous. WASHINGTON (CNN) — Four top al Qaeda leaders are in custody in Iran, including the terrorist group’s military leader and its spokesman, U.S. officials say. The four have been in custody for at least six weeks, U.S. officials told CNN terrorism expert Peter Bergen on Wednesday. (CNN) — Missed clues and opportunities by U.S. intelligence agencies are said to be highlighted in a congressional report on the September 11, 2001 terror attacks, according to several sources who also say the FBI will bear the brunt of the criticism. It has become increasingly clear since 11 September that Western intelligence agencies have completely failed to understand or to penetrate successfully the networks of Islamist ultra-radicalism. No intelligence agency predicted the attacks on New York or Washington. Nor were there any warnings of the attacks since then in Kenya, Bali or Morocco.